William Bateson, an advocate of Gregor Mendel’s ideas, first proposed the use of the word “genetics” in a letter to a colleague dated April 18, 1905. The new word subsequently entered the scientific lexicon when Bateson used it to describe the study of inheritance in his inaugural address to the Third International Conference on Plant Hybridization in London, England in 1906. But why did the ideas of Gregor Mendel, now so well known as Mendel’s Laws of Inheritance, need an advocate? The answer has to do with management, delivery, and collaborative access to scientific information. Mendel’s paper “Experiments on Plant Hybridization” was read by the author at a scientific conference in 1865, and was published in 1866. But the ideas put forth, thus spoken and written, were not “dusted off” and put to use until some 35 years later, when biologists of the early 20th century finally discovered how readily they could explain and predict their own experimental observations. 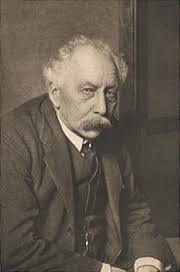 Eventually, William Bateson realized that Mendel had already carried out experiments that Bateson himself had proposed in the intervening years. Who knows where we would be today if Mendel’s ideas had not been overlooked for the duration of an entire human generation? In terms of information management, accessibility, and analysis, we’ve come a long way since the times of Mendel and Bateson, and at DNAnexus, we’re proud of our place on the leading edge of these ongoing, historic changes affecting humanity. And while we can’t guarantee that future, great scientific concepts will be recognized as such with immediacy, we do our very best to provide users of the DNAnexus platform immediate and secure access to genomic information, not just for storage, retrieval, and analysis, but for facilitation of the astounding advantages of scientific collaboration. With advances in sequencing technology, the size and scope of DNA sequencing projects is rapidly moving toward an era when hundreds of thousands of whole genomes and will be sequenced each year. With an annual throughput capacity of 18,000 whole genomes, the Garvan Institute’s Kinghorn Centre of Clinical Genomics has laid claim to a substantial role in the future of scientific inquiry and personalized medicine. 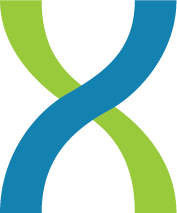 DNAnexus has enabled the Garvan Institute to manage the data security, delivery, analysis and collaboration requirements of productively sequencing 150 whole genomes every three days. Learn more.